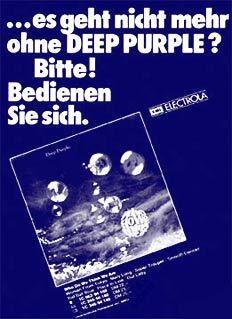 The original 100 page DPAS DEEP PURPLE DISCOGRAPHY was published in 1982. This listed every known album, single, EP and variation, country by country. It is long out of print but it is hoped to produce a new printed edition before too long. You can keep up to date on progress at our Books page. The 150 page DPAS DEEP PURPLE DISCOGRAPHY Vol 2 covered all the band members' work after they had left Deep Purple - Rainbow, Whitesnake, Gillan Band etc. It was published in 1988 and although a little dated now, a few copies are still available and collectors will find it a useful guide. See the dpas online order page for details. 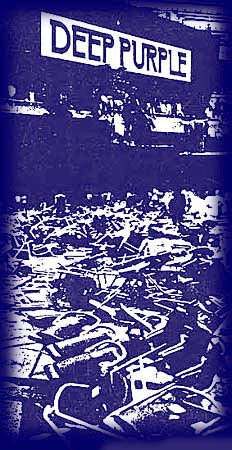 The original 100 page DPAS DEEP PURPLE DISCOGRAPHY was published in 1982. This listed every known album, single, EP and variation, country by country. It is long out of print but it is hoped to produce a new printed edition shortly. The 150 page DPAS DEEP PURPLE DISCOGRAPHY Vol 2 covered all the band members' work after they had left Deep Purple - Rainbow, Whitesnake, Gillan Band etc. It was published in 1988 and although a little dated now, copies are still available and collectors will find it a useful guide. See the dpas online order page for details.